Here are some spoken word CDs I produced, wrote and/or appear on. I truly enjoyed producing Hubert Selby Jr. and Nick Tosches as they read their most dangerous poetry for Blue Eyes and Exit Wounds. 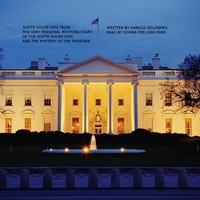 I wrote White House Dog Tales, a humorous child's poem, when Bo, the Portuguese water dog, came to the Obamas. Donna Mei-Ling Park, then with TV's Electric Playground, was kind enough to read it. 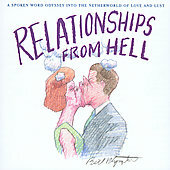 Relationships From Hell was my ode to the Lower East Side Poetry scene of the 1990s. In the compilation featuring 25 poets, I read a few of my poems, and persuaded my mentor, David T. Bazelon, to read his poems. Bill Plympton, the great animator, graciously drew the cover art.